Do Pennsylvania voters really oppose online casinos? A recent survey reveals that 73% of registered voters in Pennsylvania oppose online gaming. At first glance, that number seems unusually high. In fact, it likely runs contrary to other surveys in other states that reveal that a more evenly split vote. We’re not suggesting that everyone is for online gambling. Some people oppose them. But there’s usually not such a big consensus as this survey suggests. So what’s going on here? Do people in the Keystone State really hate online gaming? Not really. It turns out that the survey was actually published by Sheldon Adelson’s Coalition to Stop Internet Gambling. You can count on them to never publish a survey that supports online gaming, so they’ve obviously done a lot of work to skew the results. The survey was conducted over the phone and just 513 registered Pennsylvania voters were contacted. That’s hardly a representative sample. What’s more, the study doesn’t reveal the age of the voters contacted, which does make a difference, at least as far as using technology is concerned. By mentioning key problems and potential abuses, the polling firm is clearly planting a seed that may or may not be true. The statement could suggest that underage gamblers could make their way online and that problem gamblers can’t be stopped whereas studies show that there are more dangers in the live casino world. This is polling at its worst and the tactics used are clearly designed to shape an opinion. Pennsylvania is looking to follow in New Jersey’s footsteps by allowing land-based casinos in the state to operate online casinos and poker sites. But here’s the thing. Lots of people in Pennsylvania already play at online gambling sites, which is further proof that the study is far from accurate. Making the study even more surprising is that a state that loves to gamble would be against more gaming opportunities. 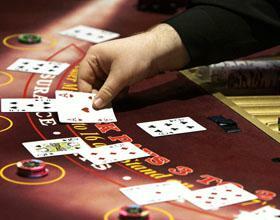 Pennsylvania is the second largest state for gambling in terms of revenue, after Nevada. Yup, Atlantic City lags behind them and an online gambling option could widen the gap even further. We think the survey wasn’t fair and honest, nor was it representative of the state. Are you from Pennsylvania? We’d love to hear what you think about this survey and your general thoughts on online gambling. Sound off and let us know what you think.